Automated Part Transfer Cell | Part Transfer Robotics Integrator - JH Robotics, Inc. 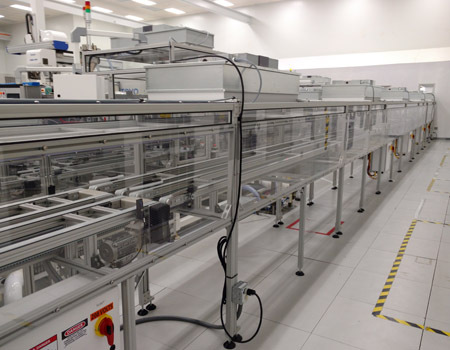 The transferring of parts from one location to another has never been more important for today’s highly competitive and highly efficient manufacturing sector. At JH Robotics we understand your need to remain competitive and have the expertise to automate your part transfer tasks and keep your production running with lights-out efficiency. Our custom designed cells with integrated FANUC robots have the capability to transfer parts ranging from a few ounces to half a ton. 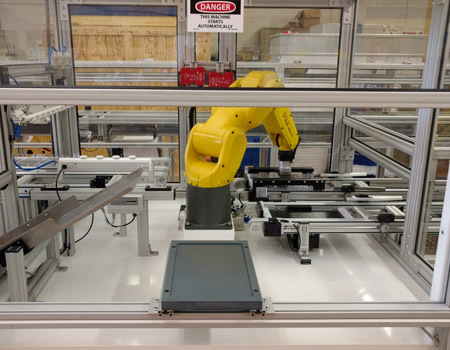 Our team of engineers, designers and integrators have the experience to successfully integrate part transfer robots into your manufacturing process. With over 30 years of experience in the robotics industry we’ve become the experts that manufactures rely on when it comes to automation. Call us today at 607-729-3758 or visit our online estimate form to get started on making your company more productive, more profitable, and running lean.